She is a fierce, strong woman. She may come off intimidating, especially at work, but she just means business and patient’s convenience and comfort; nothing personal. She is respected by her colleagues as she is a no non-sense persona. Yet behind this demeanor is a great story… a story of pain… a story of survival… a story of inspiration. She was married (yes, WAS…), had 3 kids (again, yes, HAD). Her husband was diagnosed to have a rare form of diabetes apparently, which unfortunately was passed on to her two sons as well, at an early age. As I have read from someone before, one of the hardest pain one experiences in life is to bury one’s own child. She wasn’t over mourning the loss of her husband and yet her son immediately followed. What pain could be worse than that? But just as when she was able to move on, tragedy struck her after another. Her next son became ill. It was an agonizing scene… and despite expert intervention by everyone, he succumbed and died. I know she hasn’t completely healed with her previous loss, and still, this happened. Few months after the son was buried, and while still mourning, she was diagnosed with breast cancer. Yes, the pain at its worse/worst. Luckily though, it was stage 1. She underwent chemotherapy and seems to be in complete remission. I hope it will not recur. She has gone through a lot for recurrence now. Being diagnosed with cancer is already devastating. The cancer in itself as well is very painful, and the pain is so severe no words would be able to describe it. But she collected these pains up her shoulder and shrugged them off. Aside from these pain and melancholy brought about by cancer, she had other reasons to be depressed, enough to commit suicide. But she didn’t yield. Her struggle through all these is what I find truly inspiring. While others boast of problems upon problems, here is a woman who endured the worst kind of pain I could ever think of. She didn’t give up. She fought through, coped up and shook off and kept moving on with her life. She didn’t let one tragedy pull her down, despair as if her life no longer matters. She endured. She is my model for strenght, resilience, hope and optimism. If you think your breast cancer is the worst news you ever had in your entire life, read this story and be reminded that someone else had worse struggles than you did or is having right now. The Pain She Should Never Had. A lady was diagnosed to have breast cancer. She underwent removal of the breast (mastectomy), followed by chemotherapy. Initially, there was remission, but then it recurred, spreading to other organs. This time, there seems to be no remission. She was in pain, severe pain. I may not understand nor completely know how much pain she, they feel. They usually are given analgesics, but I know it’s not enough to suppress it. This person I knew seems to have been dragged and eaten by the pain she was suffering from; I didn’t recognize her when I went to her wake. I thought I went to a wrong wake, but when her mother spoke of her name, that’s the only time I was convinced it was her. Her last few days was an agonizing one. She tried to fight it, but her bravery was nil. Finally, she went ahead, at peace. She was single, never been married — at least, no kids nor husband to be left behind… In line with this, again I emphasize the role of hormones and family history in the genesis of breast cancer. 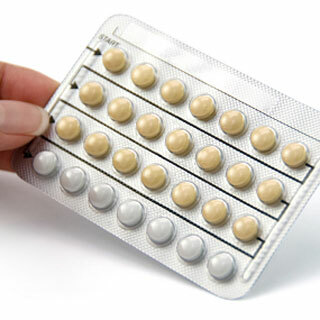 She has never been married, she did not avail of any contraceptive method to plan a family size. No contraceptive pill caused her breast cancer. She had breast cancer, she has a family history. In fact, one of the persons who I talked to during the wake is also a breast cancer survivor, her cousin. If she had family history only as a risk factor, how come she developed breast cancer? The only explanation is that, she is single. It means, she had regular menstruation. With every menstruation, there is a rise of estrogen in her system. In contrast, if she were married and had pregnancy, the estrogen level would have been opposed by this 9-months duration of progesterone predominance. Her breast tissue had hormone receptors responsive to estrogen, and this led to the genesis of the cancer. (This case example again debunks these “prolifers” who claim that people who take contraceptive pills are the one who will develop breast cancer; it happens, with or without contraceptives). Breast Cancer or the Pregnancy: Which Should Prevail? The tweet exchanges yesterday made me remember one very controversial case I ever encountered during my medical student days, I was a rotator in pediatrics then. It was that of a married woman who was diagnosed to have breast cancer, but it was too late already as she was stage 4. Meaning, the cancer has already spread to distant organs (brain, lungs) from the breasts. Because of this, the oncologist became aggressive with the treatment in an attempt to reverse the condition, if not prolong the life of the patient. But in doing so, the oncologist forgot one important patient data: that SHE IS MARRIED, she forgot to ask when was the last menstruation nor do pregnancy test. So what makes this case controversial after all? The patient was PREGNANT at the time she was diagnosed to have breast cancer, but neither the patient nor the oncologist have known it that time. Chemotherapy was already started and it was only after the first dose of chemotherapy when the pregnancy was discovered. Also, this happened during the first trimester of the pregnancy! What is dangerous about this is that, chemotherapeutic agents are known to stop the multiplication of cells whether normal or abnormal cells. During the first trimester of human pregnancy, many organs of the fetus are just beginning to form. Rational thinking thus will make you understand that all organs of the developing fetus could be affected by the chemotherapeutic agents the mother has consumed. If the baby will survive, she might be born with several congenital anomalies. I couldn’t imagine the guilt and anguish the oncologist was having at that time. I wouldn’t want to be in her shoes. The mother decided to keep the pregnancy, she decided not to have further chemotherapies to avoid unnecessary exposure of the baby. This meant her breast cancer will worsen further, considering that it was already stage 4 at the time of diagnosis. Around 25 weeks gestation or barely 6 months, she fell into coma. As it was irreversible, relatives have accepted her fate… but the baby, she’s too premature at that time to be delivered (and there was still no neonatologist available to take care of the baby). Remedy then was to keep the mother alive and her body will serve as baby’s “incubator” until such date when baby would be “safe” to deliver. As they were service case and couldn’t afford sophisticated intensive care intervention, mother remained in the ward, slowly agonizing in pain (a pain not even pain relievers would afford to stop). Unfortunately, on the 28th week of gestation (barely 6 1/2 months), mother succumbed. Immediate cesarean section delivery was then performed bedside (yes, she was no longer brought to the operating room) to deliver the baby. It was a healthy baby girl (female preterm babies have a better survival chance than male). She was then brought immediately to the neonatal ICU at that time and we were just so lucky she did not have the complications of being a premature baby. Also, no visible effects of chemotherapy was observed in the baby, how lucky. The mother on the other hand, after the cesarean section, lifeless, was brought to the morgue. There are several questions, including ethical ones, surrounding this case. For one, would abortion be an option so mother can continue her treatment? In regions where abortion is legal and allowed, that wouldn’t be a question. But in the Philippines where it remains illegal, this poses dilemma. The argument there would be, the mother and the baby was exposed to chemotherapeutic agent at the point where rapid mitosis and organ formation is ongoing, and where teratogenic would usually exert its effect. Since the developing fetus was already potentially harmed, why allow such pregnancy to continue when you expect the baby to be abnormal in the end? So, abort it (not). Another question would be, shouldn’t the mother have gone cesarean section immediately when she was already in coma so that at least, chemotherapy would have been resumed and might have averted the mother’s condition, right? The problem there is, there’s no better place for the baby to grow but the mother’s womb. Also, chemotherapy wouldn’t have done the mother any good. After all, it was late stage when she was diagnosed for the first time. Prolonging her life would just be prolonging her pain and agony, and there’s no assurance that she can survive the cancer so she could eventually take care of her baby. If baby were delivered earlier, baby might not have survived from prematurity as at that time, surfactant, is deficient from her lungs, and the drug is not readily available in the locality at that time yet (it had to be purchased from centers in Manila, and the drug transport is not that easy). This decision-making indeed may not be conventional but pushed against limits, they’re being done in the field of medicine. Choosing between two evils, and the more beneficial and less controversial option may be the only choice.